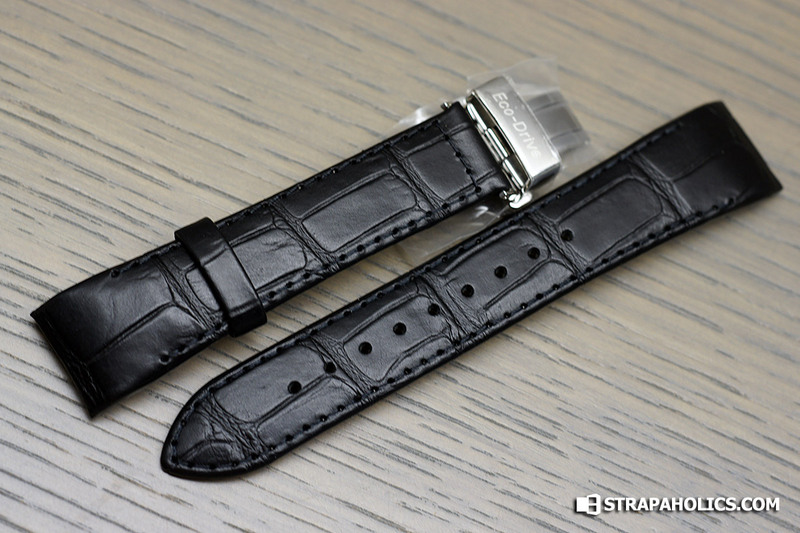 Review of a Citizen Eco-Drive strap in leather with Crocodile print model 59-S50748 that fits the now discontinued Citizen Men’s AP1030-02E Calibre 8651 Watch. This was generously provided by Total Watch Repair. This strap is of decent quality, probably Asian made but well made and has a cool molded end. This is generally a fairly expensive feature on watches like Hadley Roma and other manufacturers that make the molded ends. 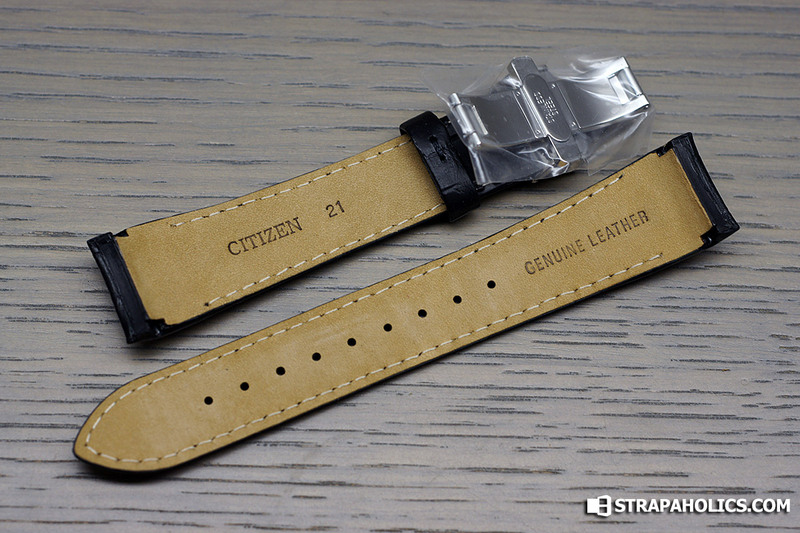 Black leather with black machine stitching done quite well. 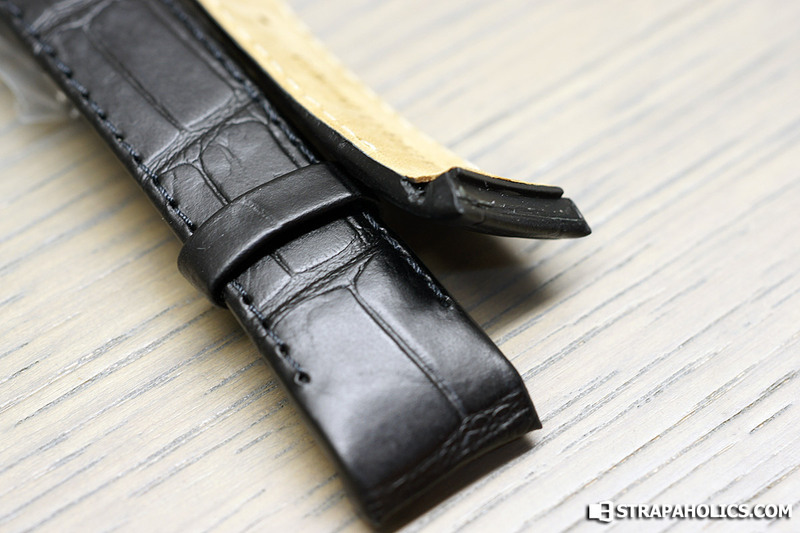 Deployant Buckle is included all for around $40… when you compare that with a Premium strap and buckle from a company like Omega or Breitling, the cost seems so low since most premium straps and buckles can cost up to $1000! Its a reasonably well-done corcodile print, though still pretty obvious that its not real crocodile when you see it up close. I personally do not like fake crocodile, and generally would rather have real croc or plain leather. Overall a decent strap, seems to suit the level of the watch it was designed for. 21mm in lug width and includes a buckle and molded ends.. a solid buy.